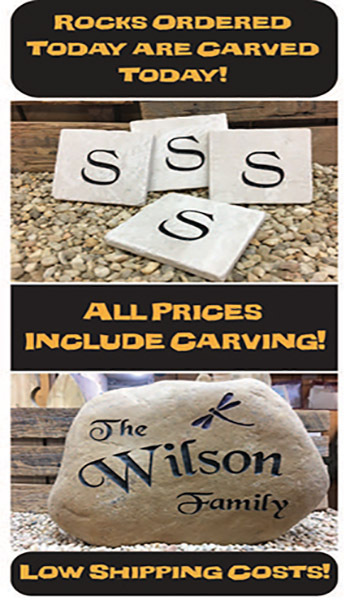 Sandman's Workshop in Pigeon Forge, TN and Gatlinburg, TN is the Southeast's premier artisan for carved rocks and engraved stones. 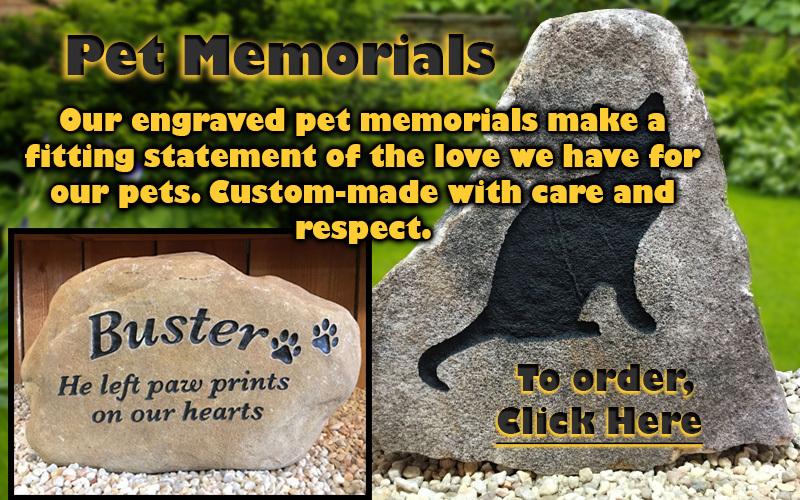 Whether you're looking for something to place in the garden, or a group gift or personalized anniversary gift, we have a custom made product for you! 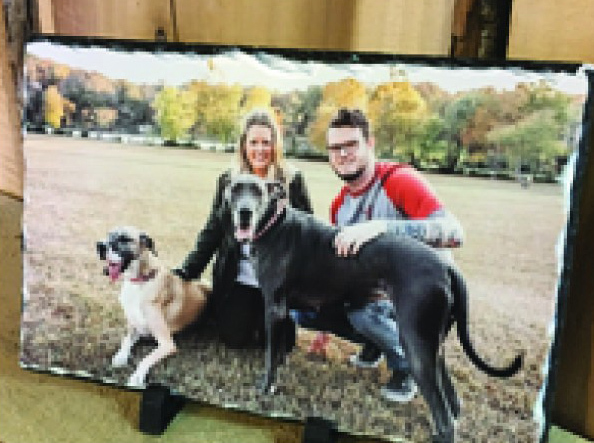 Our personalized photo slates are ideal for your photo on a real stone slate. 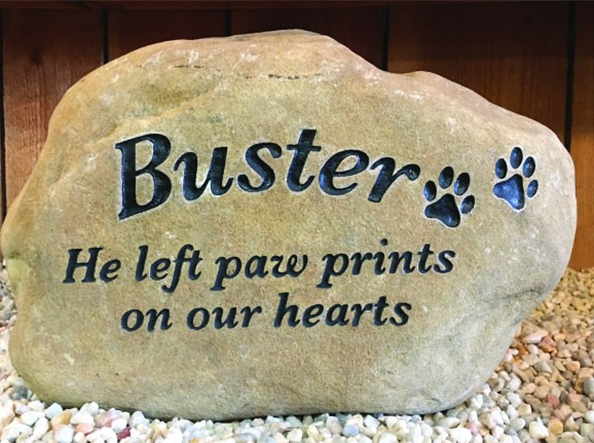 Inexpensive memorial stones and pet memorials are also our specialty. 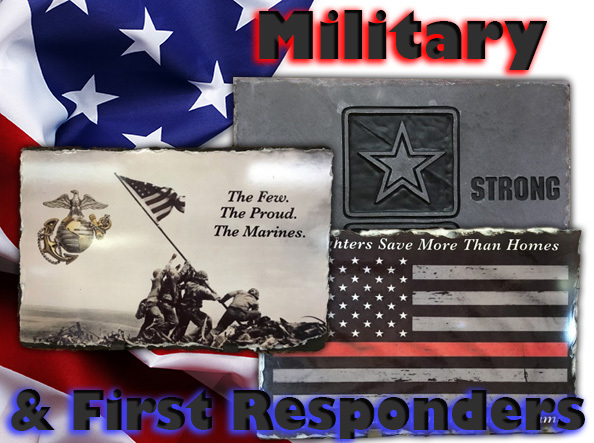 In addition to our custom made items, we also carry a huge selection of ready-to-go items such as beautiful stone crosses, rock oil lamps, and Himalayan salt lamps. 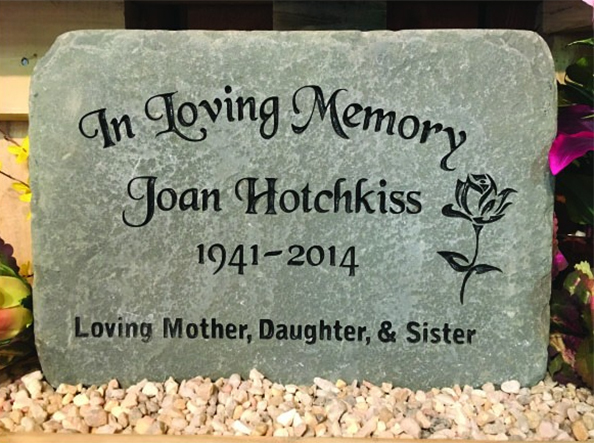 We also have religious photo slates, and concrete benches which we can customize for you. If you're visiting our shops in Pigeon Forge and Gatlinburg TN, we can customize your item usually in an hour, but ask to make sure. If you're ordering online, don't worry. 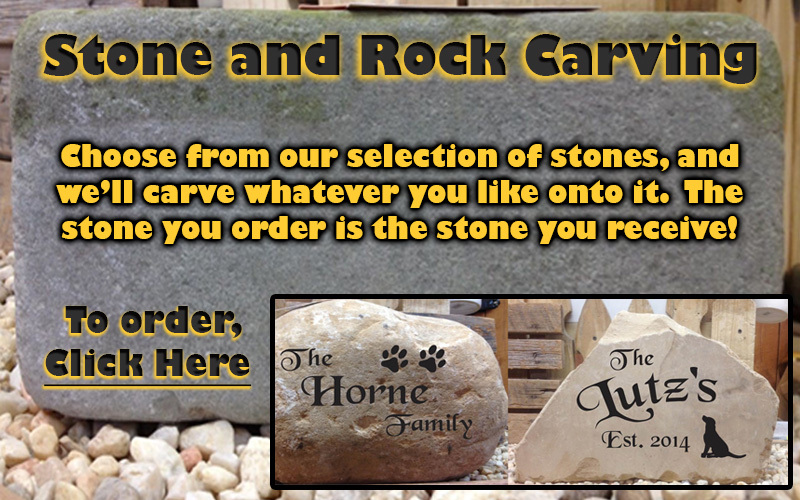 Shipping is already included in our carved stone and personalized rocks and photo slates.